Portable, easy to use coin counting scale. Place the coins on the scale and push one button for an immediate count. 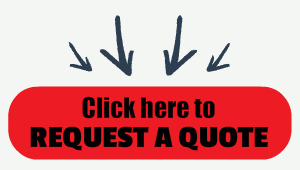 Preconfigured for pennies, nickels, dimes, quarters, fifty-cent pieces, and dollar coins. Three customizable keys are available for user-defined coin or token denominations - perfect for arcades. 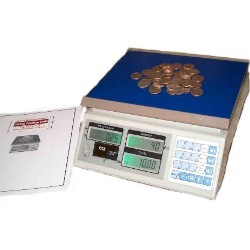 The CCS-60 is an easy to use, affordable way for you to quickly count coins accurately. If your primary need is coin counting, you'll have to work pretty hard to find something that beats the speed and ease of use of this coin counter. Simply place the coins on the scale and push one button for an immediate count. It's that easy. The CCS-60 comes preconfigured for pennies, nickels, dimes, quarters, fifty-cent pieces, and dollar coins. Three customizable keys are available for user-defined coin or token denominations. This scale is great for many types of locations like gaming centers, arcades, Laundromats, and any place where you need to count quarters. The 60 pound capacity can handle a $1000 bag of quarters at one time. The 200 hour battery operation makes this scale perfect for route applications. We also offer an aluminum carrying case which works great for portable applications.